Invited to Missing Links, a panel discussion on April 13 on art, museum work and the blank spots on the maps of our memory are: Jutta Fleckenstein (Jüdisches Museum München), Astrid Schmetterling (Goldsmiths College) and Marika Reuterswärd (Konstmuseum Malmö). 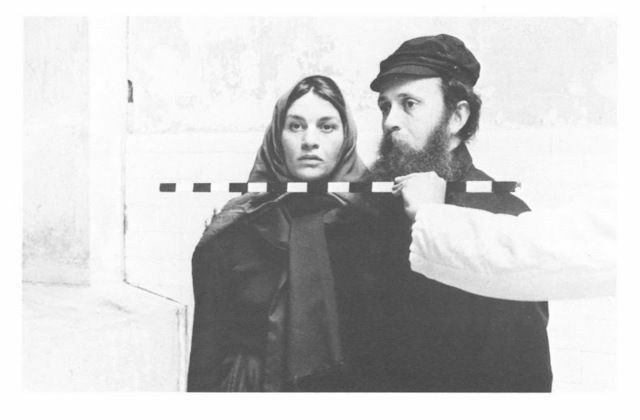 Prior to the discussion, a screening of Ellis Island (1981) by Meredith Monk and the first film by Chantal Akerman, Saut ma ville (1968). Jutta Fleckenstein is a historian and curator at the Jüdische Museum in Munich specialized in German-Jewish history and issues related to identity and migration. Based on her two-part exhibition project Juden 45/90, she will outline the challenge of addressing the time after the Shoah in a museum. The first part of the exhibition, ‘Von da und dort – Überlebende aus Osteuropa (From Here to There – Survivors from Eastern Europe)’ dealing with the immediate post-war period, featured a number of everyday objects exhibited for the first time as well as the voices of contemporary witnesses. The second part, ‘Von ganz weit weg – Einwanderer aus der ehemaligen Sowjetunion (From Far, Far Away – Immigrants from the Former Soviet Union),’ presented the Russian-Jewish-German present in the museum. The protagonists of migration from East to West after 1990 told their stories and opened up perspectives on the themes of memory, contemporary Jewishness and homeland. Marika Reuterswärd, curator of the Konstmuseum Malmö, gives an account of the special history of the Konstmoseum Malmö, which starting in April 1945 served as a reception center of the Red Cross for Jewish men, women and children and provided temporary shelter for more than 2000 people, mostly from Poland. Her lecture includes a reflection on the venue’s special cultural obligation to a contemporary migration society, which is a result of this legacy. The film Ellis Island (1981) by the filmmaker, choreographer and avant-garde musician Meredith Monk kicks off the event: Imaginary shtetl cultures on their path to oblivion in the United States and Europe, contemporary avant-garde film and folklore. A further frame is the film Saut ma ville by the Belgian filmmaker Chantal Akerman from 1968: A lonesome young woman in a high-rise on the outskirts of the city. She comes home. The elevator is out of order, she runs upstairs until she’s breathless. She cooks, polishes her shoes, makes a mess, cleans up. Finally, she tapes the door and window cracks and turns on the gas tap.